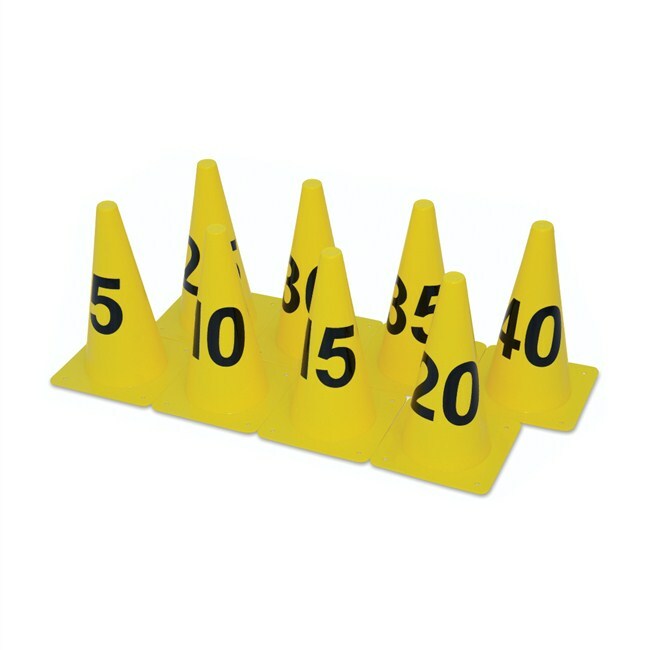 12" Cones with Numbers printed 5, 10, 15, 20, 25, 30, 35 & 40. Pack of 8 pcs. Available in Red, Blue, Green, Yellow and Orange colour.